EXCLUSIVE INTERVIEW: Tic Tic Boom! LA’s own Tic Tic Boom! has a lot going on right now. 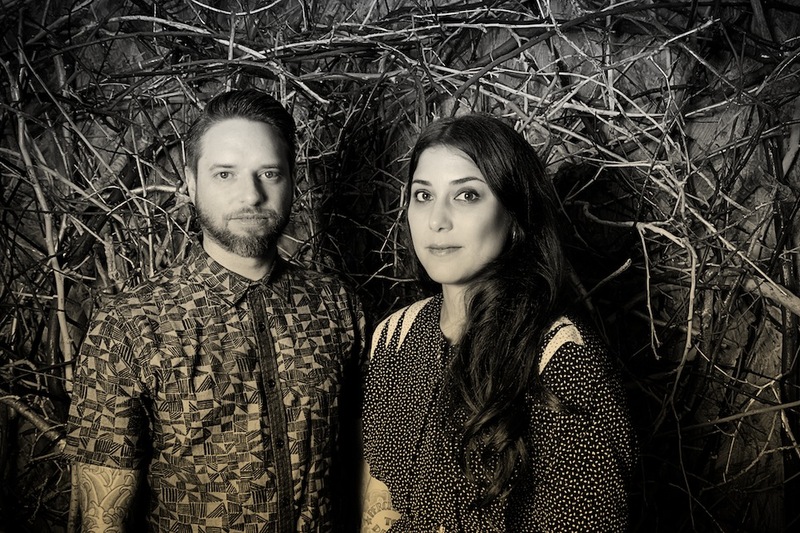 Duo Leilani Francisco and Mike DeLay have released their fourth EP, It’s the Heart That’s a Fool, last month; Lelani directed her first video; and the couple just got engaged, too. We had to have a chat with the electro-pop sweethearts about all of the above – and more! The Owl Mag: The two of you have been a couple for some time, and you recently got engaged. Congratulations! Have you set a wedding date yet? Did you become a couple or a band first, and how did you meet? Also, how has your changing relationship had an effect on the band and your music? Mike DeLay: Thanks! We are getting married on Friday, July 18th, 2014. We’ve been together for 9 years, so we both feel like it’s an exciting new step for us in our relationship. We were a couple before we were a band, but it wasn’t very far into the relationship that we started toying with the idea of writing together. It took a few years for TTB! to become a reality and even yet a few more before we really figured out what we were doing, but I think we’re on the right track now. The Owl Mag: Why the name Tic Tic Boom!? MD: We wanted something that described a sound, something percussive. The Owl Mag: Your latest EP, It’s The Heart That’s A Fool, has a somewhat lighter feel than your last EP, Before The Sun Rises. Tell us about that. MD: With this release we wanted to find a common ground between our last 2 EPs, using the production elements from Before the Sun Rises and marrying them with the pop structures of Reasons & Rhymes. The Owl Mag: You have your own studio. How has that affected your songwriting process? MD: Having the studio means we don’t have any sort of set process. We’re always writing and producing. Sometimes the song starts with melodies and a chord progression that Leilani has worked out on the piano, and then I’ll produce music to that. Other times I’ll give her a demo of an idea I’ve been working on, and she writes lyrics and melodies to that. We don’t have to follow the conventional tracking methodology of drums first, then bass, etc. We can start with guitar and vocals if that’s where the song’s inspiration comes from. Mix elements can start to take shape in early stages of production, as well – often times becoming part of the production itself. Plus, we are able to make decisions “off the clock” and whatever money would have been spent on studio time can go toward more and or better gear for the next record. The Owl Mag: Who are your musical inspirations? MD: Our favorite groups growing up range from Duran Duran to Deftones. As a group, we pull influences from the synth-driven pop sounds of the ’80s as well as dirtier ’90s alternative acts. As a producer, I’m pretty heavily influenced by hip-hop as well as mid ’90s acts like Chemical Brothers, Crystal Method, etc. The Owl Mag: You’ve played a number of different cover songs live. Which has been your favorite so far, and what other covers would you like to play in the future? MD: The two that stand out to me are the Oingo Boingo cover of “Dead Man’s Party” we did as part of a Halloween show and the cover of The Beastie Boys “Sabotage.” We were in the middle of a 5-week residency when we learned of MCA’s passing. We worked up the cover in one practice and just went for it. As for the future, I’ve always been a fan of covers that are from another genre. I would love to do a hip-hop song or a ’90s R&B track…I might be alone on this idea. The Owl Mag: You directed Tic Tic Boom!’s most recent video for the song “How It Ends,” Leilani. Did you enjoy that, and will you do it again? Leilani Francisco: I wasn’t planning on directing it. We had hired a filmmaker to do it for us, but unfortunately it didn’t work out so well, and we realized that we had to turn the situation around quickly and figure out how to make it happen. I have an amazing group of talented friends who luckily own some great camera gear that helped us for free. We filmed it in a day guerilla-style at Hollywood Forever and in Mike’s and my apartment with my friend David Racki shooting and editing it for us. I’ve since purchased my own Canon 7D so that we can keep moving forward with the video content. All in all, it was a great experience and went to further support the fact that you have to learn to wear all sorts of hats if you want to be a successful artist. The Owl Mag: What’s next for Tic Tic Boom!? MD: In the short term, we have a new bass player and drummer who are excited to get out and share the songs from the new EP. As for the next year, we hope to get out to Austin again for SXSW and start work on our first full length album. We’ve put out a few EPs and really feel like it’s time to step up. All that, and the wedding!